The vaunted builder’s latest sport catamaran lives up to its promise. Sometimes numbers become more important than they actually are. Take 120 MPH, the benchmark number “expected” by performance-boat enthusiasts from today’s twin Mercury Racing Verado 400R sport catamarans. 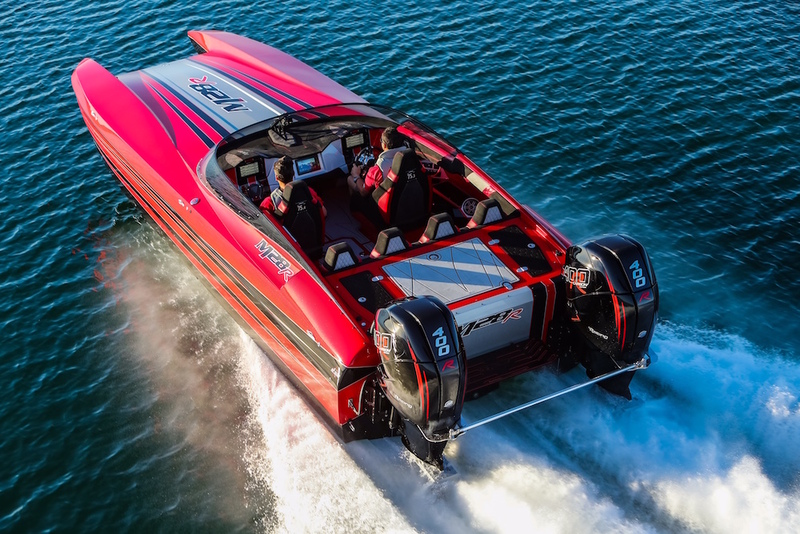 Honestly, does anyone with a lick of sense really care if an exquisitely crafted, drop-dead gorgeous sport cat “only reaches” 116 MPH on twin 400 HP engines? From the cockpit, can anyone actually feel the difference between 116 MPH and 120 MPH? The answer—at least for anyone sane—is of course not. But that hasn’t stopped the keyboard cowboys on Internet message boards and Facebook from dogging on the inability of DCB Performance Boats’ white-hot M28R to reach the 120 MPH “magic number.” Forget that the 28-footer tend to be heavy with all options including massive stereo systems and billet hardware the El Cajon, Calif., custom boat company’s customers tend to order them with. Forget that it runs 116 MPH. The magic number meant everything, at least to the company’s detractors. Mission accomplished—powered by Mercury Racing Verado 400R outboard engines, DCB’s first M33R sport catamaran reached 120 MPH. 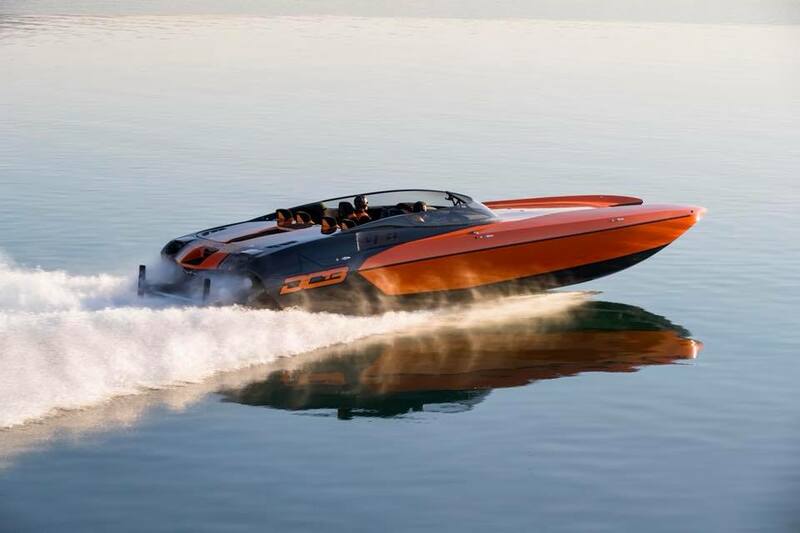 So with their longer, wider tunnel and lighter twin 400 HP outboard-powered new M33R catamaran, Tony Chiaramonte, Jeff Johnston and the rest of the crew at DCB had a 120 MPH top-speed goal in mind, if for no other reason than to silence the naysayers. And its first test session on Lake Havasu in Arizona, M33 hull No. 1 did just that. “The M33R is freaking incredible,” said Chiaramonte after the sea trial. 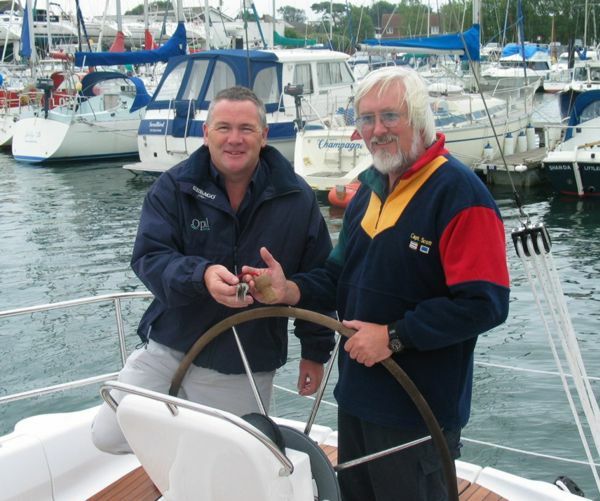 “We reached 120 MPH at 7,000 rpm with a pair of 33-inch props and 1.75 gear ratios. The boat likes diameter. We tried four sets of props and the 33s hit the sweet spot. 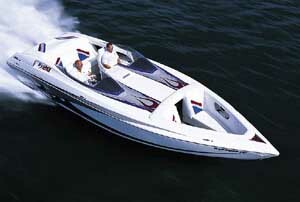 The boat runs really well—it never feels off kilter and it doesn’t porpoise. It’s very connected but it also feels light on its feet. It comes on plane fast and it comes off plane quick, too. The balance is great. Measuring 32’10” and boasting a 9’7” the M33R weighs 5,000 pounds. Will people lucky enough to get a ride in the M33R this summer know they’re running 120 MPH if Chiaramonte takes them there? Unless they’re looking at the digital GPS speed display, no way. But at least DCB made its number and can move on. As can the company’s critics.